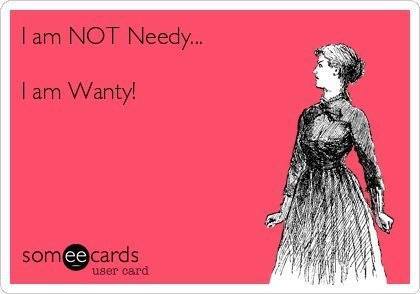 I AM NOT NEEDY... I AM WANTY! - ProudMummy.com the Web's Community for Mums. Home » Memes » OMG » I AM NOT NEEDY... I AM WANTY! I AM NOT NEEDY... I AM WANTY!